ABoards knows that good board needs as good footpad and footstrap system. 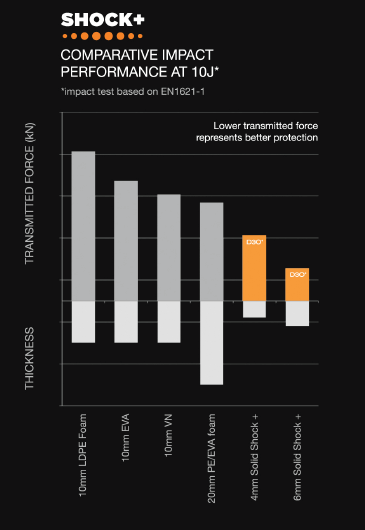 To provide maximum comfort and impact protection ABoards chooses only the best and most progressive materials. 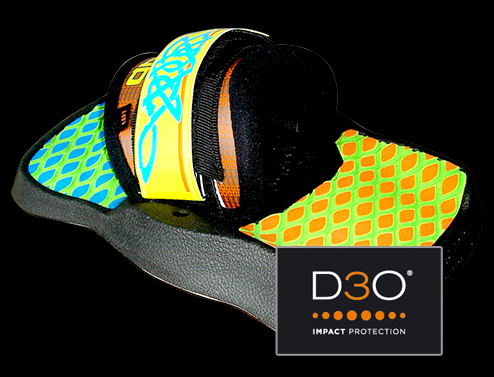 That’s why in SFLS ANATOMIC thermoformed footpad system has been integrated D3O® shock lock layer with intelligent molecules. We have chosen it as the most effective material for protecting your feet and joints under impact at landings or crashes. 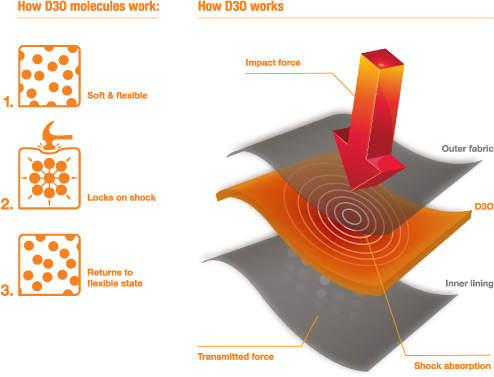 D3O® intelligent molecules flow freely during normal riding resulting in a soft structure but lock together instantaneously under impact and immediately returning to their flexible state after. Furthermore the harder will be landing (impact), the more the molecules will lock together for the greater protection. Your feet has earned it! Choose SFLS ANATOMIC footpads and footstrap system for the maximum softness and impact protection!